Talented mare SKATE TO PARIS will be chasing her first victory at stakes level in tomorrow's Listed $125,000 Goldmarket (1200m) at the Gold Coast. 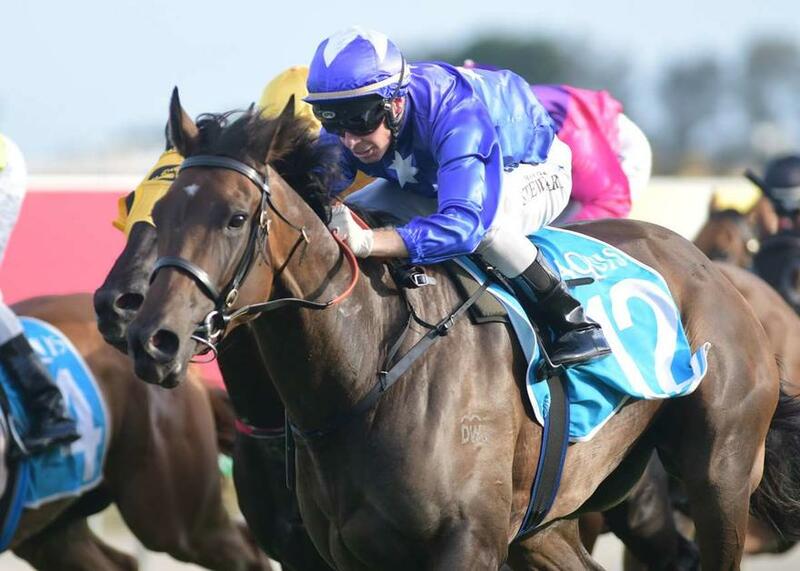 The Bradbury's Luck mare has been a model of consistency this preparation, winning two races and recording two second placings from five starts to earn herself a start in stakes company where she has been placed previously. The stable also has RACECOURSE ROAD and SATYRICON heading to the Gold Coast meeting, while at Eagle Farm, OURS TO KEEP will fly the flag for the stable, provided he gains a run as first emergency in the Open Hcp (1000m). On Sunday at the Sunshine Coast, the stable has three runners lining up in EAGLE BAY, GRAN DE LUKE and STARKERS. Trainer Chris Munce previews the stable's runners for the weekend below. TRAINER COMMENTS: "She gets back to a track she seems to appreciate and from a good draw, I'd hope she can relax a bit better than she did at Toowoomba last start. Her work has been good and she is holding her form well enough to be competitive in a race like this." TRAINER COMMENTS: "The likelihood of a wet track is a bit of an unknown, his breeding suggests that he will handle it but as we know Dawn Fraser's daughter couldn't swim so we've just got to see if he can handle it. His work has been very good since his first up effort at Caloundra and I'd expect him to be more than competitive in a race like this." TRAINER COMMENTS: "The week off hasn't harmed her in any way and she had nice little gallop during the week. If she's not too far off the lead, we know how hard she tries so I'm sure she'll be hitting the line as strongly as any other horse in the race." TRAINER COMMENTS: "He is first emergency in the race so fingers crossed he gets a run and on a surface that isn't too rain affected. He's had over a month between runs but he's drawn well and gets in well with the 2kg claim from Michael Murphy." TRAINERS COMMENT: "It looks an ideal sort of race for him, I'm just not sure about the weather as I'm not convinced he handles a very heavy track. But I can't fault the horses's work and he looks a million dollars, so if we can get a good racing surface I'm sure he'll run very well for us." TRAINER COMMENTS: "I've been very happy with him since his first-up run and his work has been good. I'm going to the races confident he can run a nice race for us." TRAINER COMMENTS: "It looks to be a nice race for him. His work has been very good and if the rain happens to set in, I'm confident he'll be able to handle the wet as he's light on his feet and his breeding suggests he will. He's very fit and is ready for the 1400m."